I went to the NBI-Cebu yesterday to secure a clearance certificate for travelling abroad. While walking on the sidewalk near the Capitol area (the city centre), I saw this art form and remembered the NYLON Blog graffiti post. This is the one I've sent to Faran of NYLON Magazine earlier last night. I'm so happy because she posted this right away. If you'd love to check it out, you can see it here. Yay! 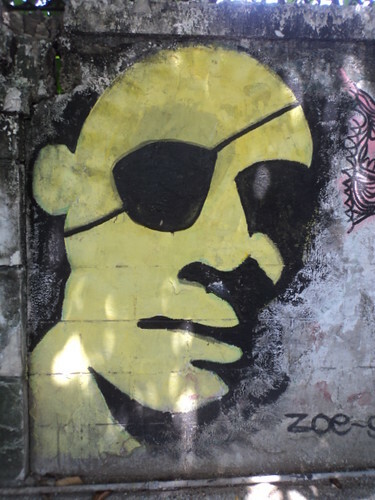 I love Cebu graffiti scattered all over our small city which makes me proud of our Cebuano local artists! Check NYLON Magazine to see more of their coolness!